Because of conflict, violence or poverty, thousands of people try to reach Europe by sea, risking their lives. Faced with this situation, Proactiva Open Arms made a promise: not to leave one more life adrift at sea. So we decided to move to the coasts of Lesbos and, later, to extend our mission to the Central Mediterranean, with the aim of saving the lives of those who launch themselves into the sea in the hope of reaching a safe place and to be able to offer them a future, a new opportunity. Since we arrived there a few months ago, we have already saved 17,000 lives. But it’s not enough. This is why we want to continue fighting for them and to undertake a new mission with a new boat: the Open Arms. We want to continue in the Central Mediterranean area, to protect human rights in the sea until we are no longer needed. But to do this, we need your help: #HelpOpenArms. Thanks to your contribution we’ll be able to obtain the necessary resources to set sail and keep the Open Arms, our new search and rescue boat, afloat for as long as possible. Where exactly will the funds be allocated? With the initial target of €100,000 we will be able to finance the final stage of commissioning the Open Arms boat and the first 15 days of operation at sea. And what if we raise more money? 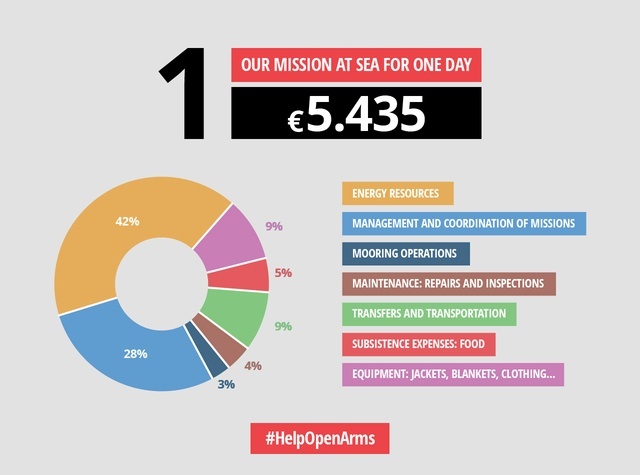 Each additional €5,435 will be used to finance another day of keeping the Open Arms afloat. If we reach €182,500 we can finance the Open Arms’ first month of operation (April). And, if we achieve a level of mobilization never seen before in the history of crowdfunding, we can finance the rescue operations for the following months on board the Open Arms. You can help us out by spreading the campaign with the assets you'll find in our Mobilization Kit. Join, share and #HelpOpenArms! 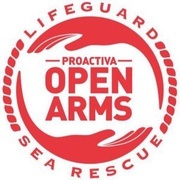 Proactiva Open Arms was born in September 2015, the idea of a lifeguard and sea rescue company with extensive experience on the Spanish coasts. When its founder, Oscar Camps, saw the photo of a drowned child washed ashore spread across the front pages, he realised that the situation couldn’t go on like that. And, if nobody else was going to do anything about it, he would do it. So that was how, together with a team of three rescuers, he moved to the coasts of Lesbos (Greece) to help all those crossing the sea to escape from conflict -—the refugees-— to reach the shore alive. 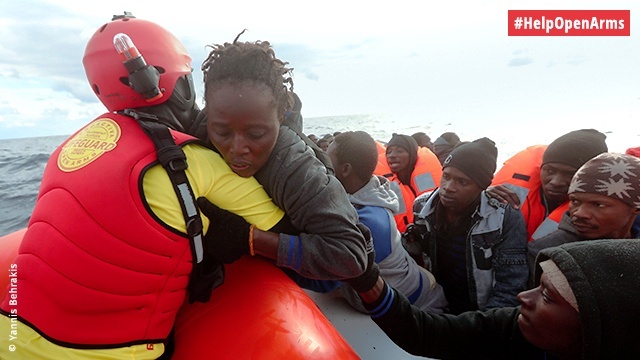 Thanks to donations, the team was able to grow and extend operations to the Central Mediterranean where, almost daily, hundreds of people flee from the horror in subhuman conditions. Their mission? Not to rest until no more lives are left adrift. Find out more at proactivaopenarms.org. You’ll be part of those who support our cause and you’ll receive our newsletters to keep you up to date with the mission that will be possible thanks to your help. * Communication via email with the user’s consent. Specific emails and updates. You’ll receive a personalised newsletter, giving you first-hand news about the work and dedication of our team and a little insight into our day-to-day life, making you part of those who, like you, choose to not to ignore this situation. We’ll send you a letter written by our team, via email, together with a digital photograph signed aboard the boat that will be possible thanks to your help: the Open Arms. You can put a face to those who continue to fight in the Mediterranean to ensure that not one more life is left adrift. You’ll receive a video message from our team, who have left their normal day-to-day lives behind in order to rescue lives at sea. You’ll get to know them a little better and see how they never give up when they know that at the other side of the Mediterranean there are lives that await a better future. Because a picture is worth a thousand words, we'll send you our first digital photo album: the experience of the first crew of the Open Arms told through images. You´ll see what the first 15 days of struggle, work and rescue in the Central Mediterranean will be like aboard the new boat which, thanks to your help, will enable us to save more lives. 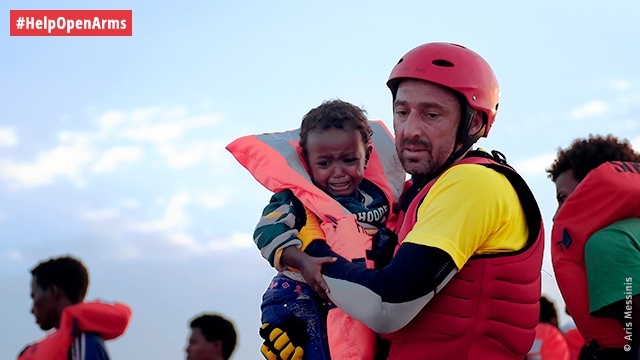 You will get to know our story through a digital story with images, in which we will tell you about Proactiva Open Arms, since we made the promise of not to rest until no more lives are left adrift. Our story told first hand, the story we want you to be part of. You’ll have the chance to join a video call with our team who, from our base in Malta, on a specific date, will tell you about their experience saving lives in the Central Mediterranean. A unique opportunity to ask them about the hard work that will be done on board the Open Arms thanks to your contribution. * This reward also includes our first digital photo album. 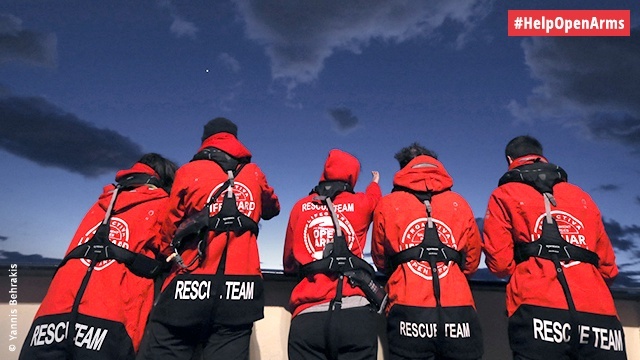 You’ll become a Proactiva Open Arms Ambassador. We’ll send you a certified digital diploma as a way of thanking you for your support and contribution. It is thanks to people like you that we can continue to rescue the lives of those fleeing conflict, violence and poverty. You’ll be able to visit the Open Arms boat at our base in Malta. With a crew change (every 15 days), we’ll invite you on a specific date so that you can visit the boat and learn more about the mission that will be possible with your help. Your contribution will be essential in enabling us to continue to save more lives, and you’ll see first hand the means we use to achieve this. You will become a Proactiva Open Arms Gold Ambassador. As an acknowledgement, you will receive a physical and accrediting diploma that will verify your essential support to keep saving lives in the Mediterranean.